I've installed a malicious app that is posting ads over my notification bar, but can't find it. I know the java package name for it: com.letang.game103.en using the command: adb shell dumpsys notification. As you see the name of the app is not obvious from the package name. I want to find which app it is, that uses this package name. I also want to report them to Android Market, after leaving a nice feedback for them there! But so far wasn't able to get apps based on their package names. Is there any way to do this? The easiest way, without using any specialized tools is just to visit that app's page in the Play Store (website, not app). where com.stackexchange.marvin is the package name which will take you to the page for Stack Exchange Android app. The question was asked back in 2012 but given that no Android version constraint is given I would like to suggest a solution, which as of now is helpful for Android 4.1 and above. 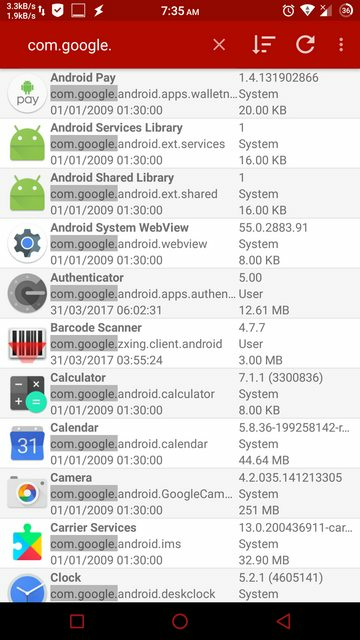 Install Applications Info from Play Store or F-Droid. Launch it, start searching your package name and your app would show up. Not the answer you're looking for? Browse other questions tagged applications adb malware or ask your own question. How can I find app name by UID? How to find out which app is trying to open spam websites? How can I find which apps/packages reference a given permission using command line? Can I run my phone from USB power and remove the battery?